Healing Spaces is a physical, sensory experience for older adults living with dementia and for their caregivers. A smart platform currently allows the caregivers to choose between two environments, forest and seaside. 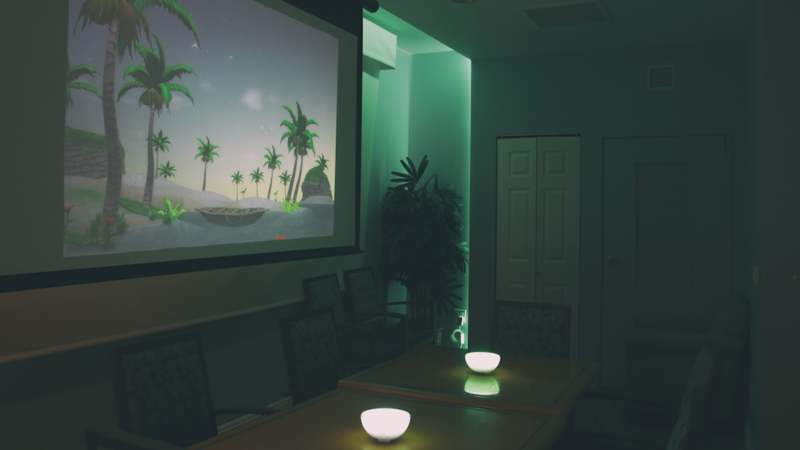 They can adjust light, color, sounds, and visuals to turn any environment into a place where older adults living with dementia can focus, engage and relax. 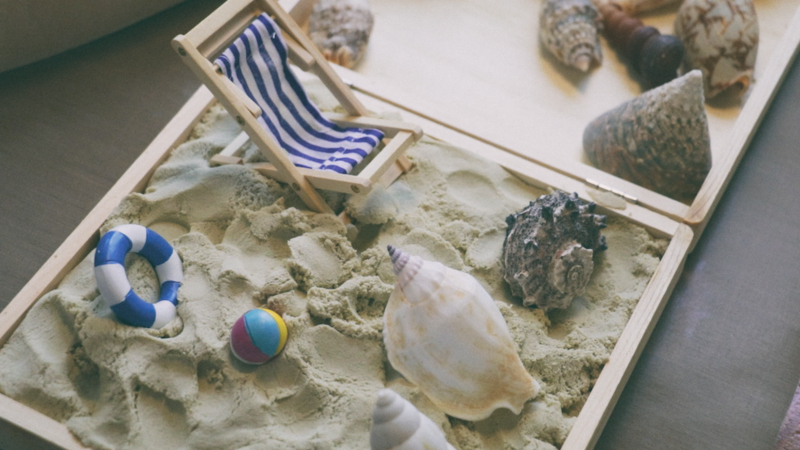 Inspired by the research legacy of Multisensory Environments (MSEs) — spaces where sensory stimulation can be controlled and matched to the therapeutic needs of the user — Healing Spaces is about creating restorative environments of respite and healing. The experience focuses on improving the quality of life for adults living with dementia. 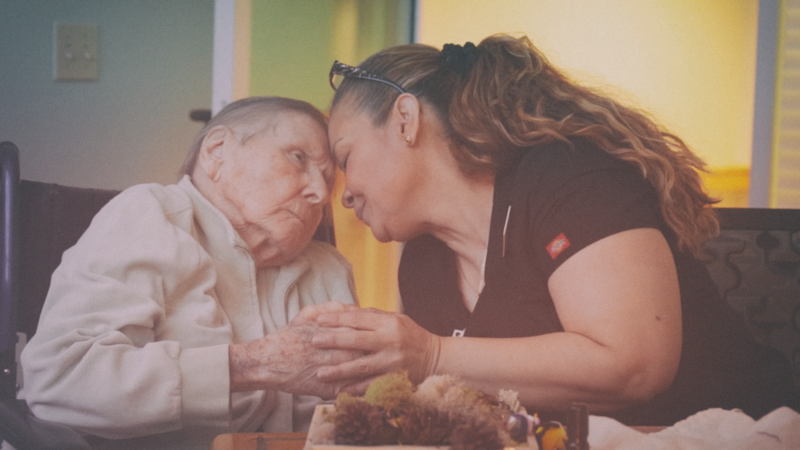 Conceived as a tool to help these individuals and their caregivers reconnect, it spreads awareness about dementia care and makes this knowledge accessible to the wider public. 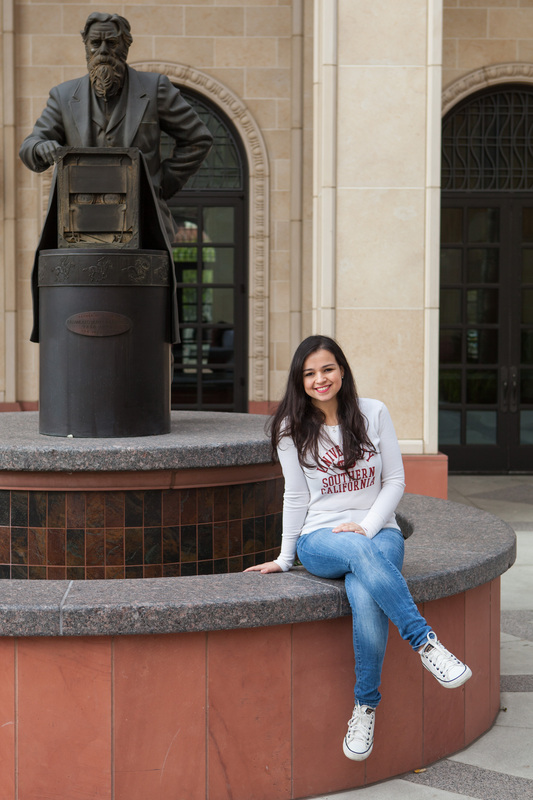 Gabriela Gomes outside the Interactive Media Building at USC’s School of Cinematic Arts. The statue is of Eadweard Muybridge, considered the father of cinema for his photographs of horses in motion at Leland Stanford’s Palo Alto Horse Farm (now the campus of Stanford University) in the 1870s. 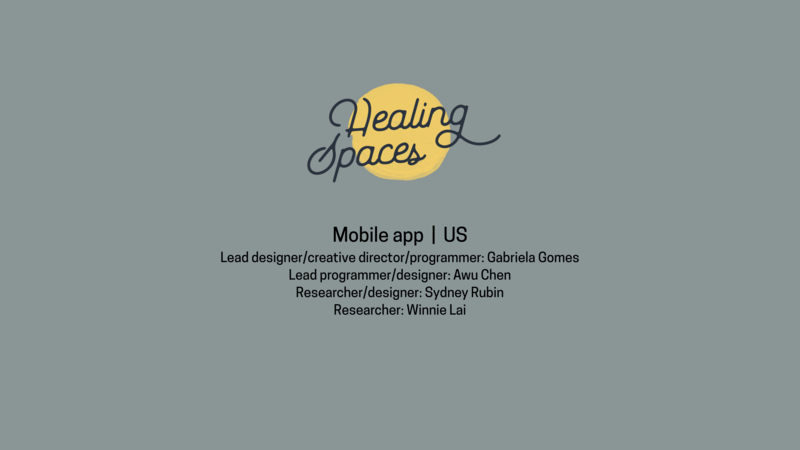 Gabriela Gomes: Healing Spaces was developed as my MFA thesis for the University of Southern California’s Interactive Media & Games Division. I was inspired by my own struggle to interact with my late grandmother, who suffered from Alzheimer’s disease. Little by little, she lost the ability to connect with the world around her, to her grandchildren, to the person she once was. Healing Spaces was my attempt to design a tool to help older adults living with dementia and their caregivers reconnect, even if just for a brief moment. It was also about making research and knowledge about dementia care and sensory stimulation more accessible to the public in the form of a product, one I wish I had access to while my grandmother was still alive. With Healing Spaces, my hope was to inspire others to see the transformative potential of our medium, beyond entertainment and the traditional target audiences. What surprised you when you were making this work? GG: Seeing our users’ reactions during our first feasibility study. I don’t think any of us were expecting to witness such powerful moments of presence, serenity and connection. This is when we knew we had created something special. 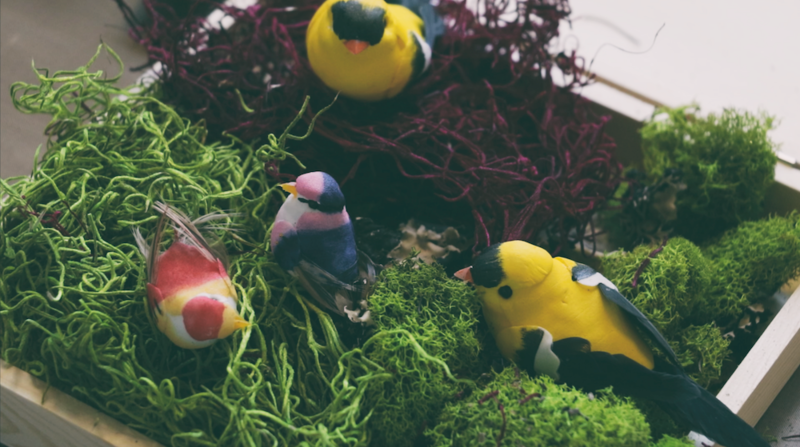 GG: When I first came up with the idea for this project, I was interested in looking at the future of smart, sensor-enabled environments, and I was leaning towards speculative design. During the early research process, I decided to challenge myself to go beyond fiction and make something that could be a reality now, not in 20 or 30 years. That meant designing a usable system under current real-world constraints, accessible both in terms of technology and implementation. And this naturally introduced a whole new set of challenges to address during the design process. We needed to take all these digital and physical moving parts and package them under one cohesive, easy-to-use system with sustainability and scalability in mind. That was probably the most challenging aspect of making Healing Spaces. And we haven’t solved them all yet. But we see these challenges not as barriers, we embrace them as an opportunity to push ourselves and the project further. 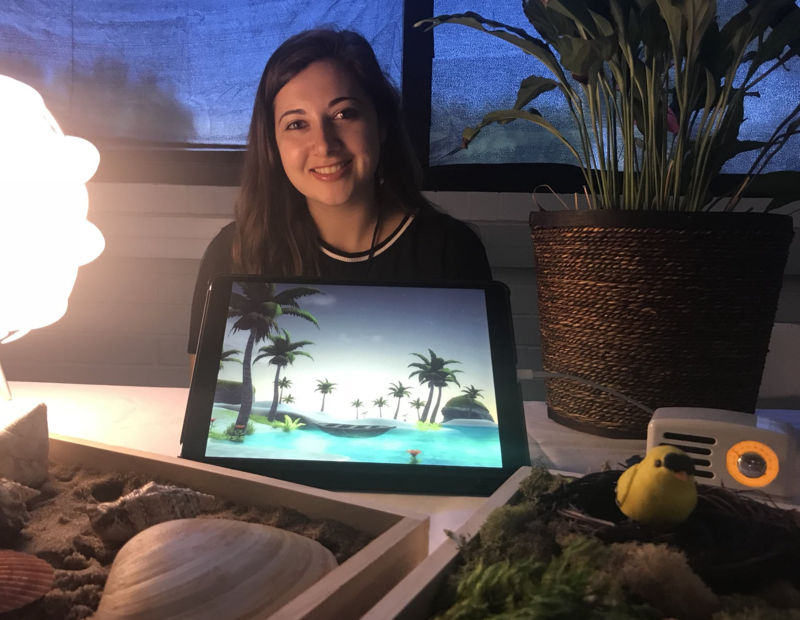 “Healing Spaces” teammate Sydney Rubin demonstrates the app at the 2018 E3 in Los Angeles. “Walking around at the Electronic Entertainment Expo — commonly known as E3 — gamers stopped in their tracks when they came upon Gabriela Gomes’ booth. The video game convention draws industry juggernauts like Playstation and Xbox, but Gomes’ booth was a little different. “There were no controllers or consoles. And there was no use of the latest in VR or AR, like so many of the surrounding booths at the Los Angeles Convention Center. ‘Healing Spaces’ is simple — all you need is an iPad, a TV, Hue lights and speakers. And it’s aimed at adults with dementia and Alzheimer’s disease. . . .